Now the water temperature has reached its peak and the fish have spawned, if you love fishing the pellet waggler, then get out there. My approach is very simple to follow and very exciting. 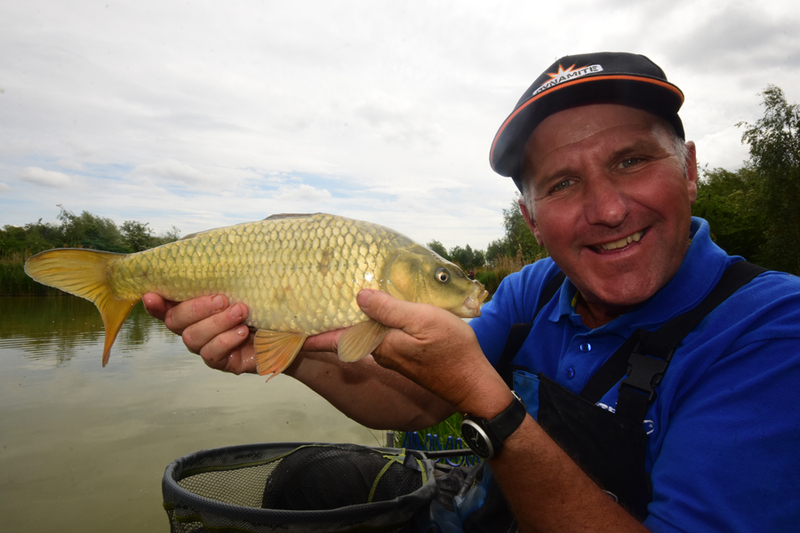 The rod I use is a Matrix Pellet Master 11′ and the reel is a Prism 4000 loaded with Carp master 0.20mm line. I will normally fish a 12″ hooklength to 0.18mm and a size 14 Carp Bagger eyed hook. The float that I use will depend on the distance I have to cast. But, as a rule, I would use one of my plastic insert wagglers. I set the float at three-feet and as it is loaded, I place no shot down the line, so the pellet sinks under its own weight. A point that is very very important when using this tactic. 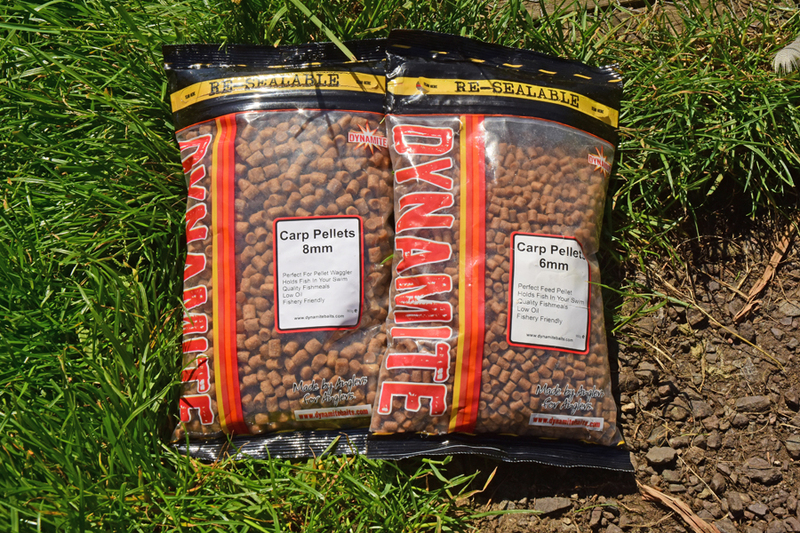 For loosefeed, depending upon the range I’m looking to fish with be either 6mm or 8mm XL Feed Pellets. As I’m using a catapult, the larger pellets will travel farther. The hookbait is a 6mm or 8mm banded pellet. I then fire eight to 10 pellets at a time, constantly re-casting and re-feeding. I will also cast past my feed first feathering the rig before it hits the water, then, once it’s settled I wind it back into the feed before repeat the process. 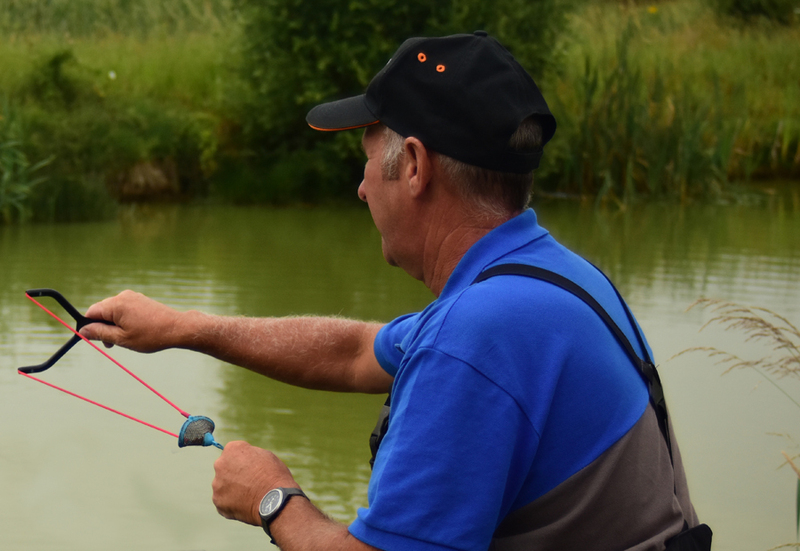 It is best to have your rod on a rest at a slight angle too and to have the clutch on the reel set to a tension that on the bolting of a carp, the line will pull off with enough tension to slow the fish down, but not too tight so the hooklink breaks. You will find that always as the carp feel the point of the hook, they head off at 100 miles an hour. This is also the reason for the slight angle of the rod on the rest to act as a slight brake. I have found it best to slightly dampen the XL Feed pellets with a little water to take off any grease, so that they all sink on impact with the water. If there is a slight breeze and a few pellets float, they can carry your fish off to another part of the lake and that is not good. Always remember to keep that feed going in regularly, as you may not catch at first but once you do, they will keep on coming providing you keep the regularly feeding up. Also, never overfeed. There is no need. Keep them hungry for the bait and they will keep coming. At first you will need to play around with the depth, but you will find that providing that the lake is an average depth of four to six-feet deep, you will catch between 20″ and three-feet. This is a simple method so don’t complicate it. Keep the feed regular and the repeat casting to the same area and you won’t go far wrong.